When I was younger and quite naive, I loved St Valentine's Day. I know my mother loved this sorta kinda holiday also. I thought, at the time, that it was just so romantic and what girl DOESN'T want romance once in awhile. Well as it turns out...ME! 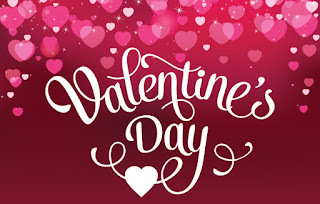 Valentine's day has become such an overrated money making quasi-holiday, it was invented by Greeting Card companies that couldn't make any money after the end of year holidays were over. Then after a while the chocolate companies and Florists jumped on board too! The way I see it is, if your lover shows you every day of the year that they really love you, then why do I need one day a year for him to prove it to me? When you find real love, this Stupid Cupid holiday goes out the window. But, I'm going to go out on a limb here and say.. I hope you all have a Happy Valentine's Day and I hope you have found what you are looking for in a soul mate!